Hu Zhiming had a good life as an officer in the Chinese air force, but his choice to follow his conscience led to over 8 years in prisons and detention centers, with torture driving him to near insanity, emaciation, and to within a hair’s breadth of death. 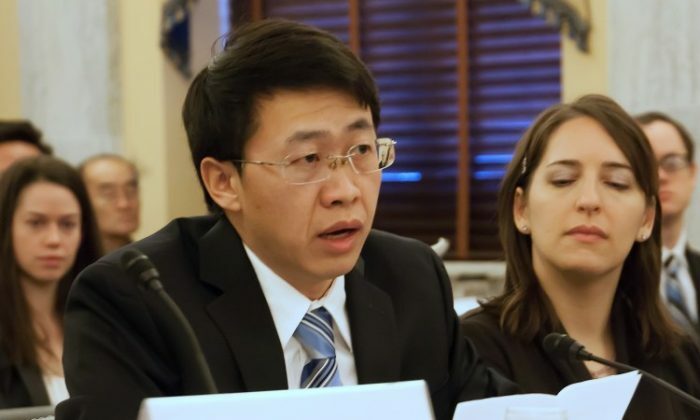 Due to his technical expertise, Hu was instrumental in setting up secure lines of communication between Falun Gong practitioners in China and the overseas Falun Gong website Minghui.org. These activities also led to his being abducted from a Shanghai hotel room in the early hours of the morning on Oct. 4, 2000. From then until 2009 he was in and out of jail and detention—though mostly in. But Hu’s story is representative of both the persecution of Falun Gong, the resilience of adherents in the face of it, and the visible exhaustion of the authorities in continuing the campaign, as explored in a hearing by the Congressional-Executive Commission on China (CECC) on Dec. 18. Falun Gong practitioners had persisted over a decade since former Chinese Communist Party head Jiang Zemin had launched the campaign against the traditional spiritual practice in 1999. That campaign was running out of steam. Three years on, that trend has continued. This much and more was explored during the CECC’s hearing titled “Falun Gong in China: Review and Update,” consisting of two panels, the first made up primarily of victims, and the second primarily of researchers of the Communist Party’s campaign. The testimony of Bruce Chung, a Taiwanese Falun Gong practitioner, was also given. Chung was detained in China during a family trip in June of this year and accused of sending from Taiwan equipment that could have been used to insert Falun Gong documentary materials into television broadcasts. 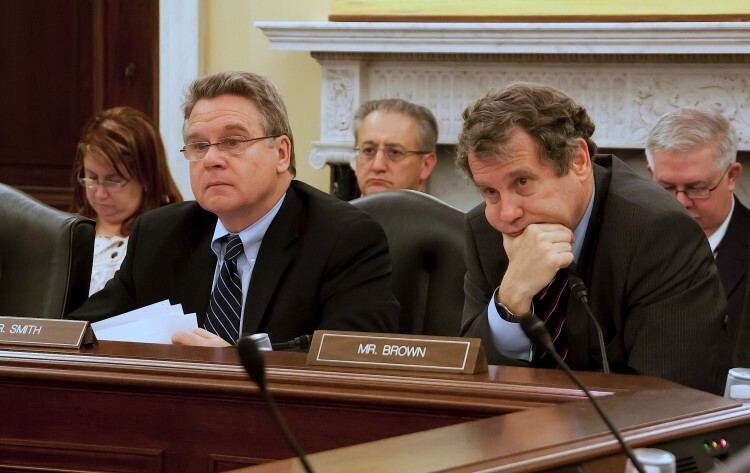 “His real crime was trying to overcome Chinese censorship and exercise free expression,” Senator Brown said. A key question for researchers of the persecution of Falun Gong, and a stated goal for the CECC hearing, is to understand the current status of the campaign in China today, the importance to which the Chinese Communist Party accords it, and the circumstances of adherents in China. One panelist took a different view from the other three. 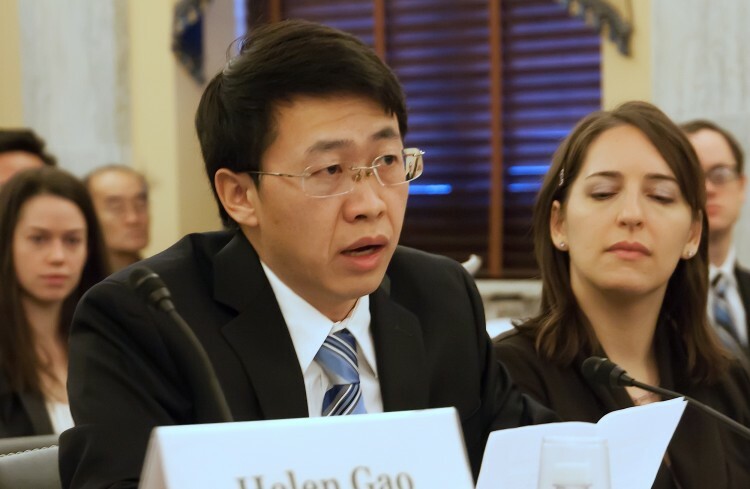 James Tong, a professor of comparative politics at the University of California, Los Angeles, believes that the reports made to the National People’s Congress by the People’s Republic of China chief prosecutor, among other publicly available sources, indicate that the campaign against Falun Gong is no longer a “law enforcement priority” for the Chinese leadership. Tong also pointed to the virtual cessation of anti-Falun Gong propaganda in the Chinese state-run press, which had been inundated with it after the campaign got underway in 1999. Notably, 2002 was the year of the 16th Party Congress, when the baton of leadership was passed from Jiang Zemin, for whom the persecution of Falun Gong was a personal crusade, to Hu Jintao, the more guarded new Party chief who has never publicly associated himself with the brutal campaign. The end to high-profile, national-level propaganda, and Falun Gong’s absence from the state law enforcement agenda, were not an end to the campaign, however, according to other experts. An examination of the details on the ground, and of the interactions between the various political bodies in China that are involved in the persecution, reveals a much more complex picture. Charles Lee, a Chinese-American who survived three years of persecution in prison, added that removing Falun Gong from the spotlight, while continuing the campaign all the same, was “another strategy” because the campaign had caused international attention on China’s human rights abuses. So after Hu Jintao took power, the Party began to downplay the persecution in public, rather than cease it, Lee argued. Despite high-level security cadres continually cracking the whip on the Falun Gong persecution, however, what played out at the lower levels of the administration was much more complicated, according to Caylan Ford, an independent researcher who studies the Falun Gong persecution and has published widely on it. Push back from society includes often intense resistance from friends, neighbors, co-workers, and well-wishers of Falun Gong practitioners, who in recent years have rallied together, often at the risk of reprisal, to collect signatures against the persecution of friends or relatives, and have stood up in an unprecedented fashion to the iron fist of the Chinese Communist Party. Editor’s Note: When Chongqing’s former top cop, Wang Lijun, fled for his life to the U.S. Consulate in Chengdu on Feb. 6, he set in motion a political storm that has not subsided. The battle behind the scenes turns on what stance officials take toward the persecution of Falun Gong. The faction with bloody hands—the officials former CCP head Jiang Zemin promoted in order to carry out the persecution—is seeking to avoid accountability for their crimes and to continue the campaign. Other officials are refusing any longer to participate in the persecution. Events present a clear choice to the officials and citizens of China, as well as people around the world: either support or oppose the persecution of Falun Gong. History will record the choice each person makes.